This is the headline statement of an excellent new book called The Fearless Organisation by Amy Edmondson a Professor at Harvard Business School. I have long been an admirer of her research and her earlier book, Teaming, is also very powerful and starts to lay out the themes she develops in The Fearless Organisation. The core idea of the book is to explain why a culture of open candour – and the willingness and courage to speak up – is a strategic asset and can be developed for organisations of all sizes. The technical term for this is psychological safety. In our conversations with clients developing a psychologically safe culture is an issue many are grappling with currently. It’s often expressed through employee survey feedback in terms of ‘bullying’, ‘unwillingness of managers to listen’, ‘pressure to conform’, ‘counter-views not being valued or respected’ and the like. 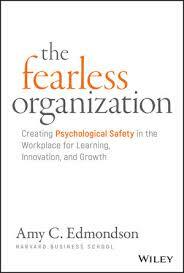 At its worst, low levels of psychological safety can lead to significant corporate disasters and even death. More often, it leads to fearful, stale, passive, conformist cultures where people just put their heads down and keep shtum. Amy points out that creating psychological safety at work takes effort. It’s not the norm. But it’s worth it, particularly if organisations want to perform well in complex, fast-changing environments – which means most organisations! 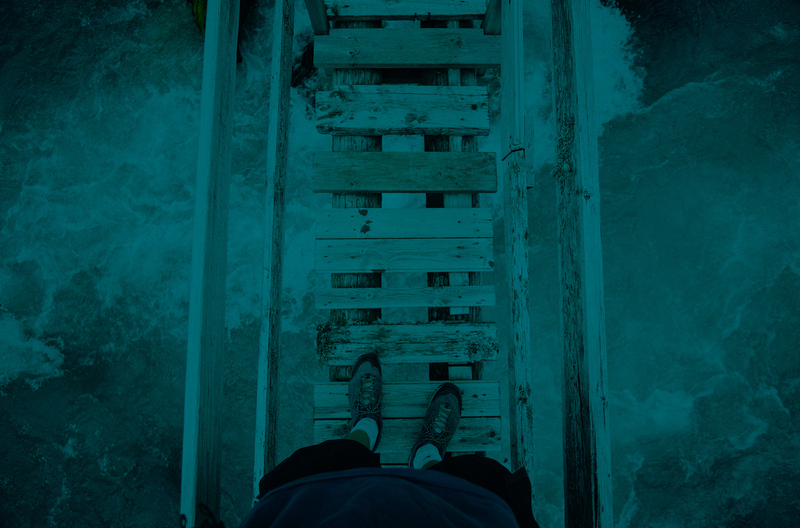 Psychological safety underpins our own work on decision making. Being candid, open and direct; including diverse voices and perspectives; asking the right, tough questions about the opportunities we have at work… all lead to better decisions. In our book Risky Business, we introduce you to eight characters that embody over 100 unconscious biases. Mitigating the negative work of these characters is best done when there are high levels of psychological safety. To make the unconscious, conscious we must be able to talk about what’s going on in an open, safe and generative way. Let me give you an example. Amy rightly says that as human beings we’re hardwired and socialised to care what others think about us. What this often leads to is a desire to look good instead of being truthful; to avoid hurting someone else’s feelings instead of being truthful; agreeing with the boss instead of questioning whether their idea will actually work. In Risky Business, this tendency to serve up what others want to hear is embodied in our character The Butler. Put bluntly, we conform to the prevailing narrative because we fear the consequences of speaking out to those in power. Mitigating the work of The Butler in us is all about giving people a voice. And that’s where psychological safety comes in. So what does Amy have to say about how best to create a culture that is psychologically safe? First, set the stage: This involves creating a shared understanding of the nature of the work we do; why everyone’s input matters and emphasising purpose – what’s at stake, why it matters and for whom. Second, invite participation: She suggests that just asking is the simplest and best way to encourage people to offer ideas. This creates a culture where every voice is welcomed. Some techniques she suggests (that those of us working in the field of organisational development will be very familiar with) are to practice inquiry – ask good questions and model intense listening and to set up structures and processes to support participation e.g. forums for input and guidelines for discussion. She also suggests that the team leader demonstrates situational humility, acknowledging gaps and inviting others to talk about what they are observing in a situation. Third, respond appreciatively: Expressing appreciation through listening, acknowledging and thanking people is really important, as is destigmatising failure. The focus here is all about continuous learning. Put another way, if someone’s head is bitten off the first time they bring bad news, fall short of a deadline or make a mistake it’s unlikely to create a culture of learning and growth… and they are more likely to hide the news next time! This is a really rapid summary of a rich and interesting book and I would encourage you to give it a longer look. In conclusion, think about the following: If developing a psychologically safe culture is so simple (but not easy), what practical steps can you take in a team you are part of to create or sustain high levels of psychological safety? Newer Post Is true grit what it’s all about? Older Post How do you bring insight?